Born in Prichard, Alabama, in 1922, Hillard Pouncy moved into his grandparents’ home in Eufaula in 1930. They needed support around the house, and Pouncy’s parents decided he should be the one to help them. After his grandfather retired, Pouncy took over his position as janitor of the First Methodist Church. In 1940 he graduated as valedictorian from his high school and enrolled at the Tuskegee Institute on a work scholarship. Pouncy was first posted in a machine shop at Tuskegee but later transferred to a farm where he loaded hay. In addition to his classes, he also worked as a short order cook in a local restaurant to earn extra spending money. As a student Pouncy saw members of the Tuskegee Air Squadron marching around campus and decided to join after he was drafted into the military during the Second World War. When he became the last cadet “washed out” of pilot training school, Pouncy transferred to bombardier school instead. Unlike pilots trained at Tuskegee, most bombardiers and navigators never saw combat because their skills were underestimated by military command. Pouncy expected to go to the Pacific, but spent the last months of the war learning navigation skills in addition to his bombardier training. 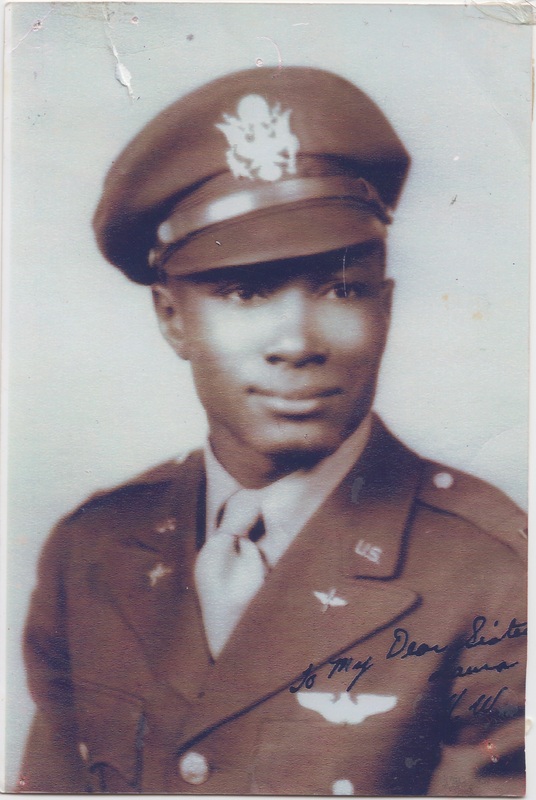 After the war he earned a master’s degree in Chemistry at Tuskegee and a PhD at Syracuse University in New York, where he served as a reservist in the Air National Guard. For 30 years he moved around the world in his position as a chemist for Union Carbide. He married a schoolteacher named Mattie Mae Hunter and had one son. He retired to Austell, Georgia, in 2005. Watch Hillard Pouncy's Legacy Series videos here.